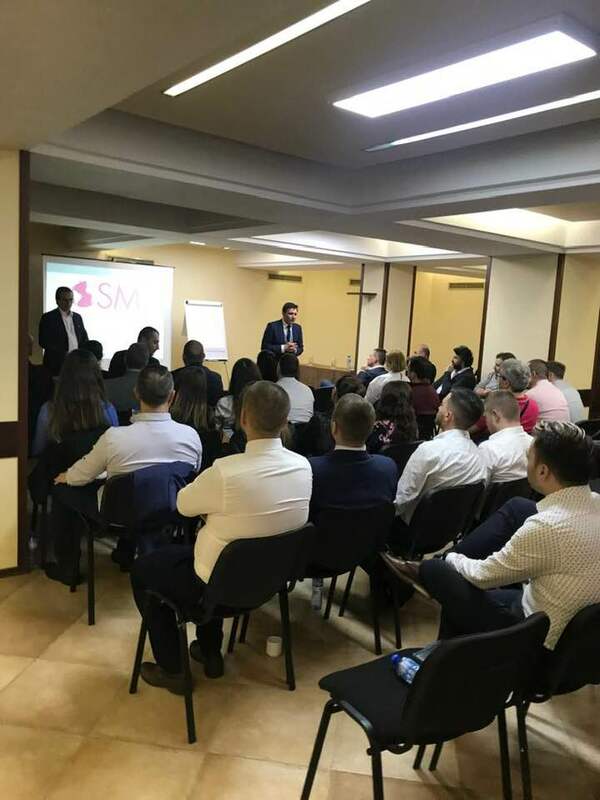 Yesterday in Sofia I delivered a presentation to a group of Eastern European managers and business owners of Small and Mid Size Entreprises. 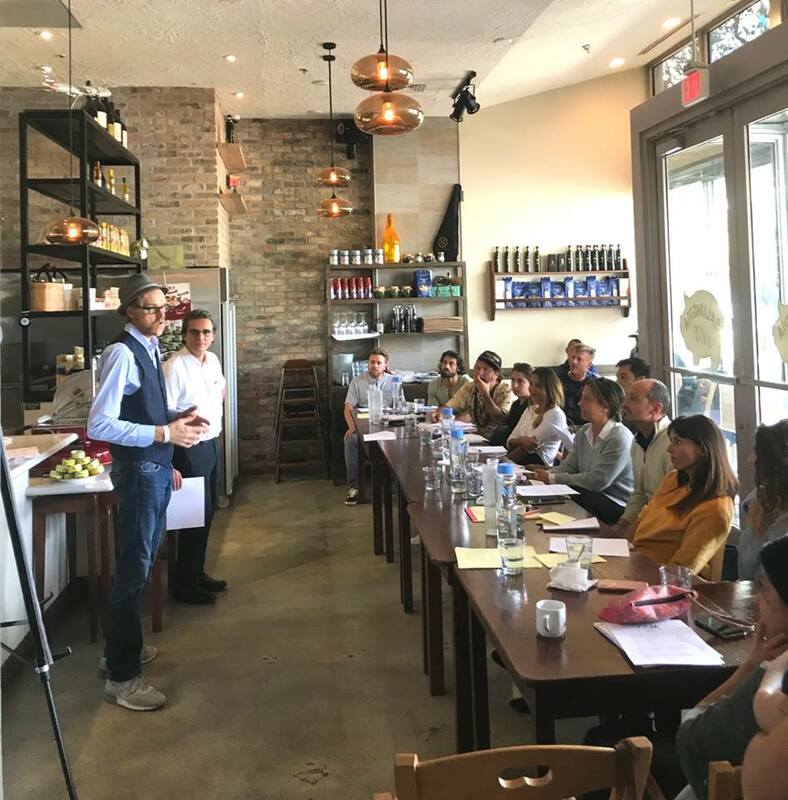 This week I gave a presentation on Leadership and People Management to the Restaurant Managers of Graspa Group, a dynamic Miami restaurant company that manages some really successful brands in Florida: Spris Pizza, Salumeria 104, Segafredo Lincoln Road, Spuntino. Here are the slides for the presentation that I delivered yesterday in Bulgaria with a grup of incredible people from the beauty industry. As agreed within a couple of days you will get a letter with the book in english/romanian as well as the link for a personality assessment. Today, in Dubai, I presented five strategies to build a successful and scalable business. I had a great audience, lots of fun as usual in Dubai. For whoever would like to continue studying, I suggest attending our next training in Dubai, the Growth Acceleration Training, on 20th and 21st January 2019. 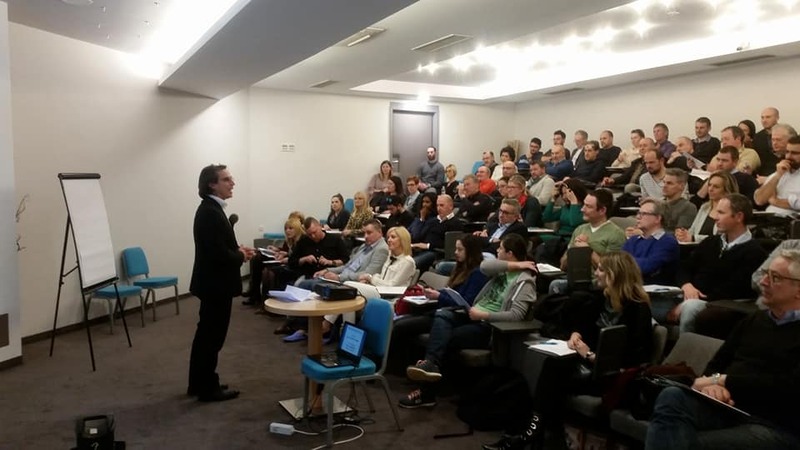 Sunday I delivered a presentation to a group of Estethicians, Dermatologists and Clinic Managers from all over Bulgaria. 1. Get out of the comfort zone: in order to develop your business you need to accept at least a scary challenge. The slides to download are below. Tonight I gave a speech in Pula regarding the Business Owner who is capable of growing his company despite any and all external circumstances, sanctions, etc. The slides of the presentation are attached. 3) While managing the company do not forget the real goal which is not just to turn a profit but also to make other people's lives better. The slides of my presentation are attached. 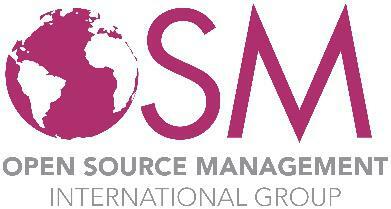 Here the video and some testimonials of the first OSM event in Doha! Today I have been in Dubai giving a presentation about the successful actions of business owners and entrepreneurs who in the Gulf States thrive doesn't matter the economic condition. 1) Handle Internal Reasons: don't justify poor perfomarce looking outside the company. Fix what doesn't work inside. 2) Accept a scary challenge: get out of the comfort zone. Do more emotional sacrifices. 5) Fix your entrepreneurial strategy: in order to make money first you have to work on yourself, then learn to delegate and build a team, learn to apply financial principles and then you'll learn how to invest. 6) Study: the company mirrors the owner. If the owner doesn't improve, the company will not improve. On the 5th and 6th of November we will have in Dubai the first two days training with the Growth Acceleration Program where entrepreneurs and managers will learn how to build a very successful team. Thanks to http://www.osm-uae.com/ for the great organization. 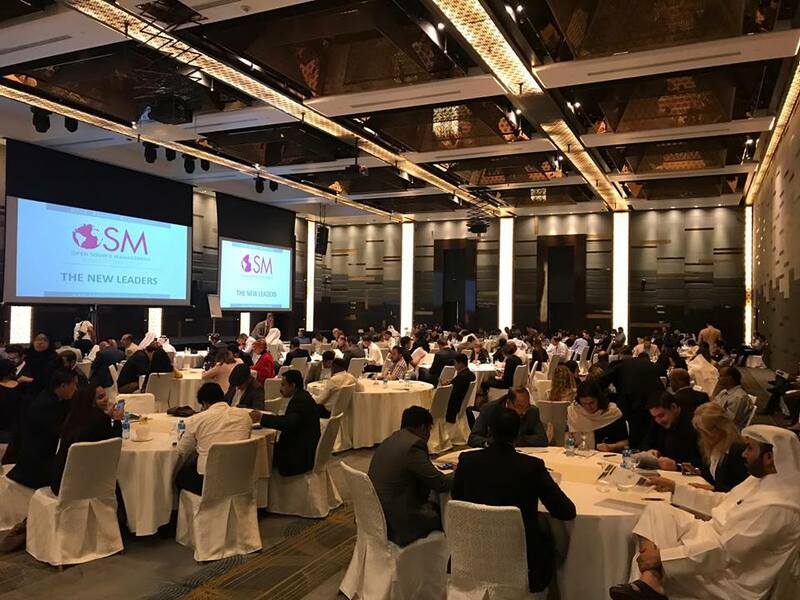 Today I have been in Doha, Qatar, to deliver a presentation on the New Leaders, business owners and managers who are capable to thrive in an industry despite any external difficulty. It was a very inspiring evening when I met a lot of really capable managers and business owners. We will be back in Qatar with the Leadersity Program on the 5th and 6th of November and on the 3rd of December when we will begin delivery of the Leadersity Program. I want to thank all the staff of OSM Qatar www.osmqatar.com for the great organization. 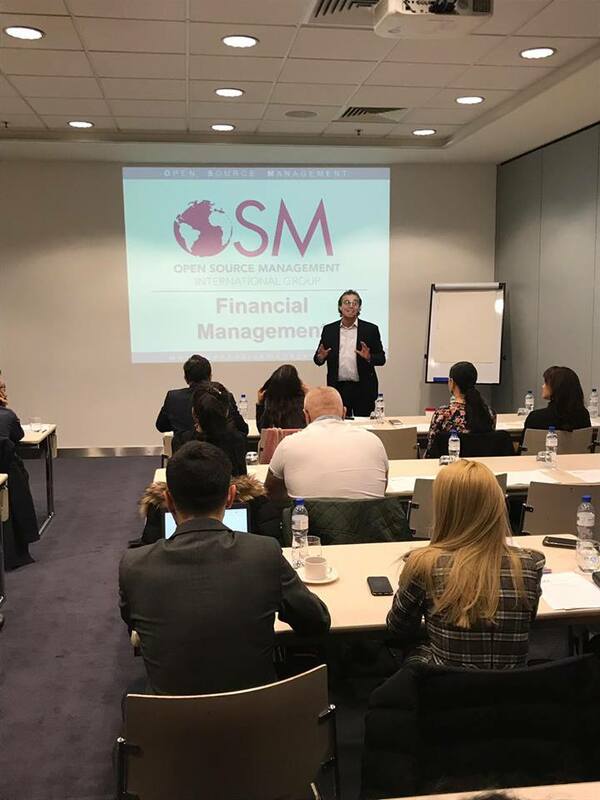 Yesterday in partnership with Osm Russia and Advance Krasnodar I delivered a Leadership Training in Krasnodar, Russia. I liked very much both Krasnodar and the business owners and managers who attended my presentation. 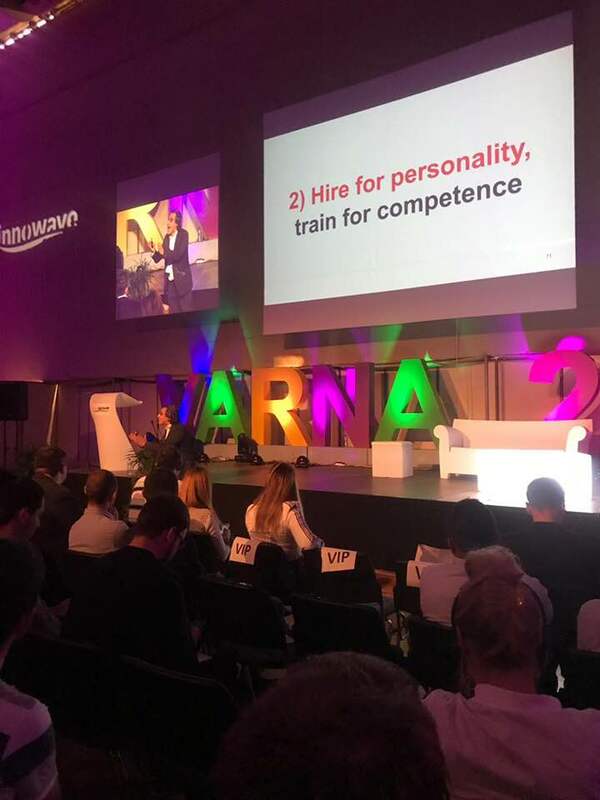 I want to thank Valentina and all of the staff of Advance http://advanceme.ru/events/item/347-the-basic-leadership-coursenachalnyj-kurs-liderstva/ for the great Organization. 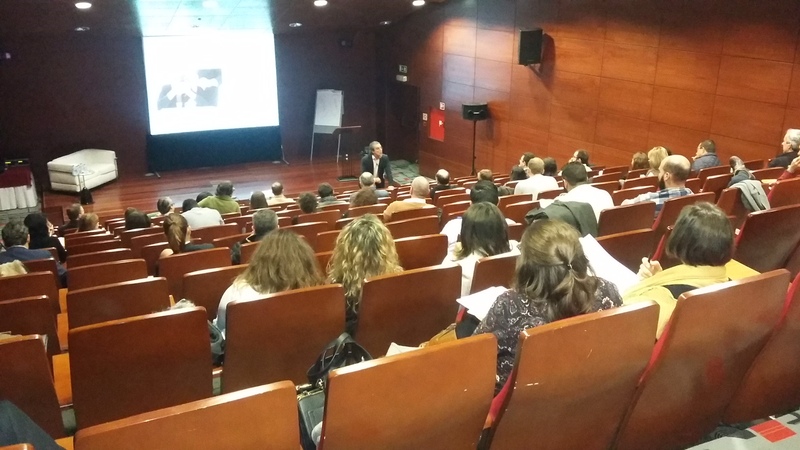 Speaking in Portugal is always magic and often makes you dream because you interact with business owners from all over the world: Angola, Brazil, Mozambique. The training program will also include 5 I-Profile Analysis for your key managers as well as three more special trainings: one on Sales and Persuasion, one on How to Understand People and the attendance to the MBS Millionaire All Star Program that will be delivered in Bologna (Italy) on September 20 and 21. 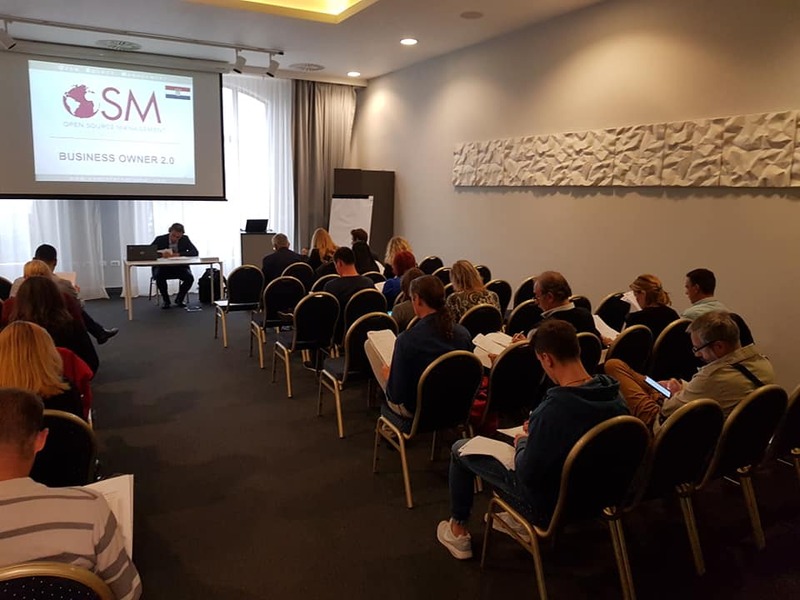 Yesterday nite I have been the guest speaker at the launch of OSM Croatia in Novigrad. We had business owners attending from Slovenia, Croatia and Italy. It has been a really pleasurable experience. The most valuable resource of the economy is people. This is why we believe that to generate value today, in any market, people come first. If you surround yourself with like-minded people who have the same vision, ideals, and ambitions as you, then ANYTHING is possible. The way to be the BEST in your business is to work with those people in order to change the world together. This is exactly what we want to do with you! -We are looking for people that can contribute and share this idea of changing the world! Hi Paolo, today a few extraordinary things happened and I wanted to share them with you. Yesterday was a day from hell, and really the whole week just made me want to throw in the towel ... but today has been a simply crazy Friday. This morning I was called by a friend whom I had asked to help S*** F***, and after talking to her for 20 minutes (and after opening my "toolbox" with all the tools I have acquired from your courses and from S***), I learned that I had helped her to lift the fog ... and it made me feel great. Shortly after, I left home for an appointment in Lodi but I felt that I just had to go to the office first, something in my head told me to go there... and I found two of my collaborators were at their wits' end, completely destroyed. For 15 minutes I hug them, cheer them up, tell them I’m so grateful to have such loyal people at my side, and they magically come back to life. I left for Lodi to meet P*** S*** about the proposal we discussed when I saw him at MBS: I had a feeling we could do great things together. We met and it was fantastic (after he presented Z*** at MBS, I approached him to give him my business card). I liked him very much, he's really a great person and I think the meeting went well: I’m sure something great will happen. As I head home on the highway, I call a friend. I’m helping him find a way out of trouble with his demotivating parents and girlfriend (his life is going badly, he feels frustrated and thinks he’s worthless even though he’s really awesome) and he tells me that after reading your books (which I had given him) and after talking with him, he feels that the fog is finally lifting and is starting to understand what is going on around him more clearly. In the early afternoon, one of S***’s salespeople calls me, one I have never met before ... someone doesn’t know anything about our meeting that very morning, and tells me that he wants to work together and tells me the same things that P*** S*** told me: crazy, incredible!!!! Neither he nor S*** had said a word to each other, yet on the same day with different paths they practically made the same proposal to me. Around 18:00, I get a call from my accountant, whom I had just met a few days ago: his life has been destroyed by some serious events and he has lost his way, his faith, and sees a black future and no longer knows what to do. After talking to me for half an hour, he decides he wants me to help: I immediately bought two of your books on Amazon (10 Rules of Success and Ethics of Excellence) and I had them express mailed so Monday he can start studying them right away, and I will start thinking about how I can introduce him to the path of growth that I have in mind for him with you. Tonight, at 21:00, a friend called me (whom I had also introduced to OSM and who will be with me at MBS on February 23) to tell me he had a great idea: he wants to help a mutual friend who is in serious trouble and would like to use the OSM tools. I told him that I am with him all the way and that I will help him reach his goal. The great thing is that the seeds I put in my friends have produced trees that in turn are creating other seeds. Now I understand what you feel, what you feel when you do your job and why you continue on your way to the "Great ME" with all the energy I feel when I meet you. 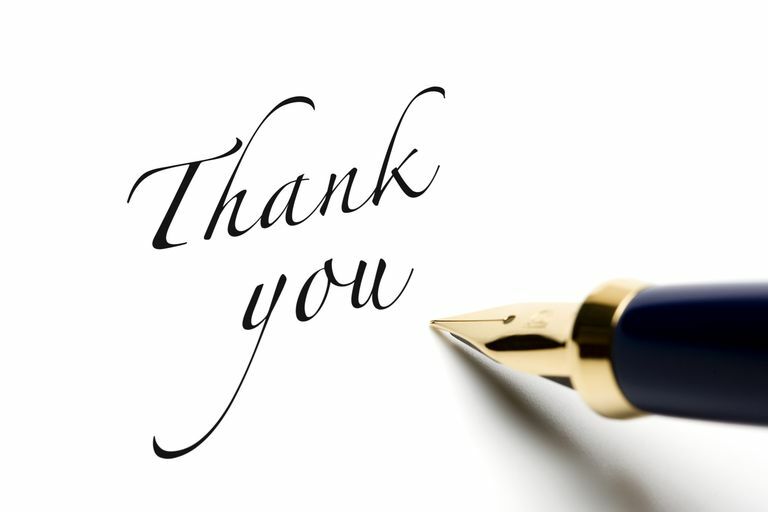 Thank you for deciding to write your books, thank you for creating OSM and for training your consultants, and thank you for doing what you do and the way you do it. As I promised, I will help you change the world and, in my small way, I feel that it's working!!!!! Through this nine days program you’ll become an effective business owner and you’ll get your company to expand and grow. Every training is delivered once a month, so in a few months you can become really effective in managing your company. How to drastically improve the quality and effectiveness of your communication as an executive and business owner. 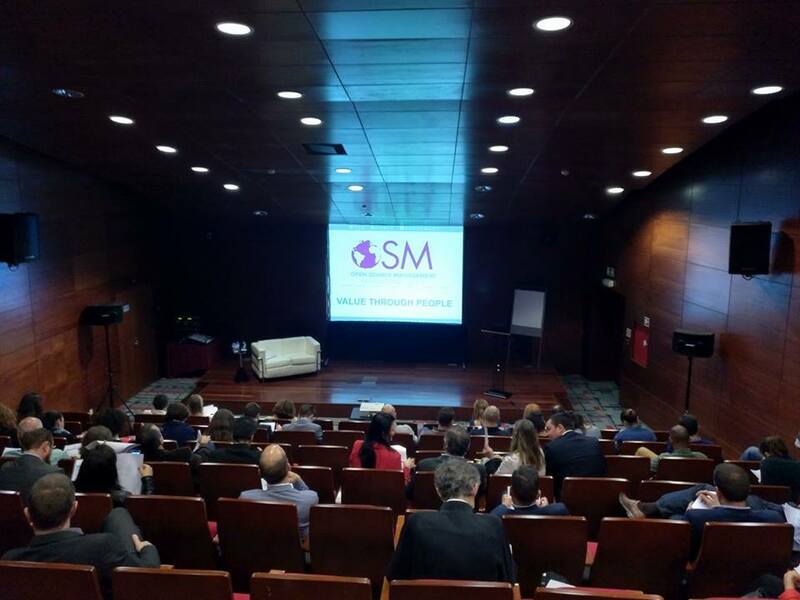 Tonight, in Lisbon I made a presentation for OSM Portugal regarding how to build value through people. INNOVATORS, VISIONARIES OR CONSERVATORS? 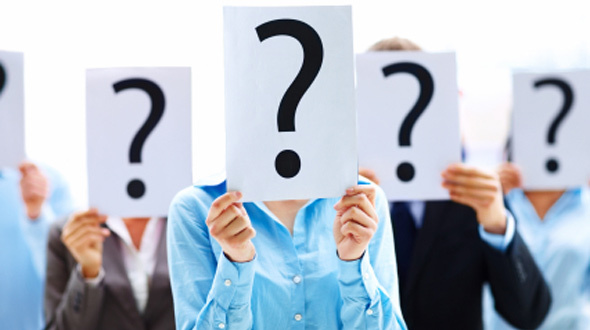 WHO ARE YOUR CUSTOMERS? The market is divided into different categories of consumer. Companies that stay small only ever have a single type of audience. Each product or service is first bought by a certain part of the public, "the innovators". Then you have to conquer "the early adopters", and then, if you're good enough, you can aim for an even bigger slice of the market, the one that allows your company to grow and expand. If you have a great technology, you have to find an innovator who will join you in your project, because their references will allow you to focus on a wider market. You need customers who adopt your product and then switch from one type of customer to another. With OSM I have just developed a technology that will soon be released on the market and will revolutionize the recruitment of personnel. Something absolutely innovative that no one has ever used before. Do you want to know the typical companies that could use this product? FedEx, Procter & Gamble, Starbucks. Very large companies with many employees. Companies that could, with a very minimal cost in proportion to their turnover, simplify the process of selecting new staff. But if I went today to FedEx and showed them my product, they might say "Very cool! But do they use it over at DHL? Ahh, they don’t? Nevermind then." And if I went to DHL they would tell me the same thing: "Nice! But do they use it at FedEx? No? Nevermind then." So in order to conquer this category of customer, first I will have to find an innovator, someone within that category who looks at the future with the "courage" to invest in this technology and to adopt it first. Someone with strong contacts who can then promote me. An opinion leader who can influence other people. If just to give you an example, I had managed to reach Frederick W. Smith and he fell in love with my technology, then I would be on the path to getting all the other big companies on board. 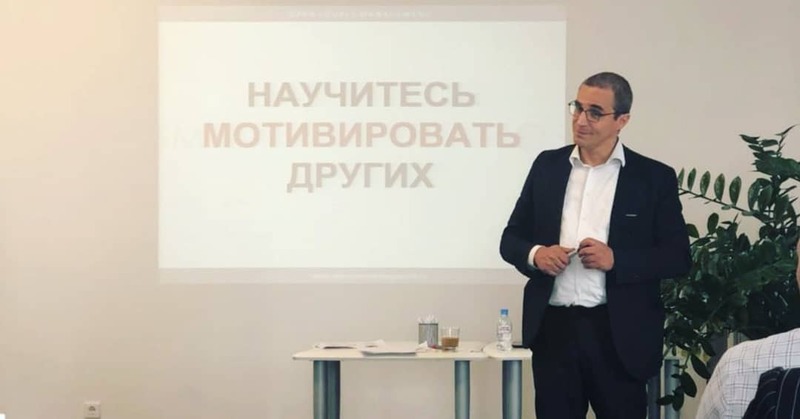 -The innovators are motivated by technology in their own right and buy it because they are intrigued by exploring a new technology and seeing how it works. - They acquire your technology even if it is imperfect or "improvable". They want direct contact with technologically savvy people to influence product development. They want to actively contribute to the growth of the product. They will be the ones to spread the word to bring you early adopters. In order to reach the innovators you must: do direct marketing, finding them on the web and letting them know about your products, aiming to involve them and impassion them towards your product. Or take advantage of the network you have built over the years with your company. The bigger the network you have built, the easier it will be to reach these innovators. The better the “relationship” between you and these innovators, the easier it will be to make them fall in love with your product. Your task will be to excite them and take care of them because they will become the champions of your project. - They are the ones who start using the product before it reaches the masses. - They are ready to improve the product, providing feedback, investing in the idea that the product or service can contribute to a major change in the world. To reach the Early Adopters you have to: have a sales force that reports directly to the top of the company, which engages them and starts developing solutions suitable for them. They are very demanding customers, but they can be a great help. - They are pragmatic people who buy because technology solves a problem they have or improves some aspect of their lives. - They do not want to revolutionize an industry or try something new: they want a product that works. They want: Perfect and bug-free products, manuals, assistance, do not want change but want an improvement of what they already have. They want to have someone in their group or their industry who has already used it. They want someone in their group who is using it, must know their industry, and be patient and keep the product intact. To reach "the early majority" you need to focus on just one specific target. You need to find a profitable niche and focus everything on that. It's what is called d-day in marketing. The landing in Normandy, meaning that you will have to concentrate all your efforts on one point if you want to conquer a broad market. Who are your customers? And how will you reach an ever-increasing number of people to grow your business? Yesterday and today I have delivered a leadership training to a group of entrepreneurs and managers of Iasi in Romania. I have found Iasi a really interesting town with a lot of potential. Investing here would be a good idea for any business owner since it is a town on the verge of an economic boom.